One of the greatest adventures you can have in this lifetime is to visit sacred sites that have a vortex of amazing spiritual energy. An energy vortex is a swirling pool of energy. A positive vortex can lift you up, while a negative vortex can drain your subtle body of its vitality. Once they are created, an energy vortex can remain for eons. They are a common feature of the unseen world that form in the etheric plane from human interaction with Mother Earth. There are known vortexes at Stonehenge and Glastonbury in England, at the Great Pyramid in Egypt, at Machu Picchu and Lake Titicaca in Peru, at the Mount of Olives in Israel, and at Mt. Kailash in Tibet. 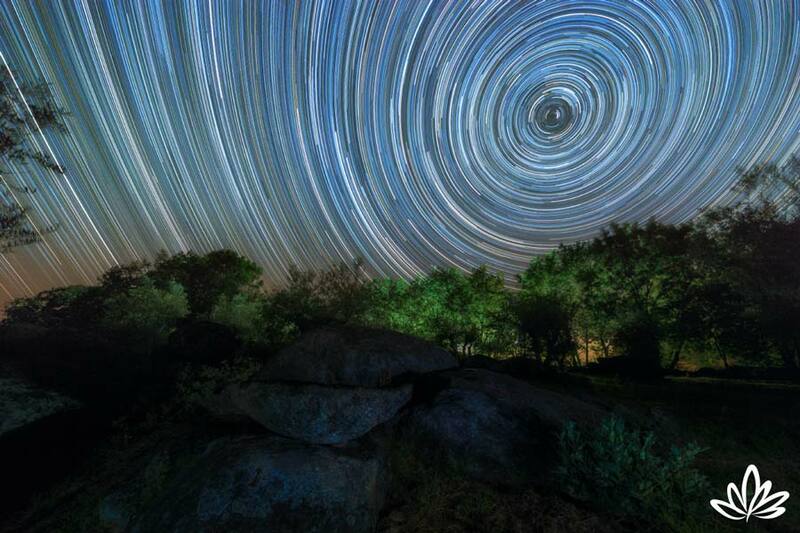 Here in the United States, the best known vortexes are at Ojai, Mt. Shasta, and Sedona. Throughout my life, I’ve visited and experienced the powerful energy of several such places. I’d like to share with you two spiritual vortexes, located in California, that I hold very near and dear to my heart. Ojai, California is truly a magical place. Its location is incredibly unique, with its natural surroundings creating a powerful vortex that was recognized the Chumash Native Americans, the regions original inhabitants. The Ojai Valley is nested within mountain ranges that seem to take animal form, the natural shale and sandstone land forms direct the air from above into the valley, and the earth emanates a powerful energy from below. This is why Ojai makes a perfect case study for identifying spiritual places and vortexes. All the signs are there. Largely due to this, the Ojai Valley has seen an influx of individuals seeking escape from the hustle and bustle of nearby metropolitan areas such as LA. That is also why the Deborah King Center is proud to call spiritual Ojai its home. If you’d like to experience the powerful energy of the Ojai vortex yourself, The Deborah King Center is holding a retreat October 31st – November 3rd. Join us to connect with seekers of truth and light, get inspired, be uplifted, and let your light shine. Click here to learn more and to get your early-bird ticket. Another powerful, spiritual place that is near and dear to me is Mount Shasta. I’ve been there a number of times in person: I had to spend the night on the mountain in a tent or snow cave that I built, and use an ice ax and crampons to cross the very steep ice slopes. When I finally arrived at the top, I went into the cave that’s right in the crater. What an amazing place it is, full of the most incredible, almost overpowering energy! On all three visits, I descended on mountaineering skis, which saved hours and hours of hiking down but is a fairly risky method of descent; if you fall, you could easily go right over a nearby cliff and tumble all the way to the bottom! The snow-capped pinnacle of Mount Shasta is actually a giant dormant volcano, part of the Pacific “ring of fire.” At 14,000 feet tall, it towers above the Cascade foothills; five glaciers hold it in place. You can see the atmospheric hole over its peak and start to feel the strong energy pattern the mountain emits; its vortex seems to get stronger every day. There are wonderful places to stop and meditate—artesian springs, sacred caves, and mystical caverns cover the area. Mysterious lights seem to come from inside the mountain. The Ascended Master Saint Germaine’s Temple of the Violet Flame radiates from the deep inner recesses of the mountain. Travel to sacred sites is a wonderful way to ramp up your spiritual energy so you can hold more light. And when you find a natural positive vortex of energy, like Mt. Shasta, it can really move you along on your spiritual path. Mt. Shasta’s great vortex of spiritual energy indicates that there has been a lot of ceremony, prayer, and meditation in that area. The inhabitants who live in the small town of Mount Shasta at the base of the mountain all sense a certain energy that comes from being in the presence of Mt. Shasta’s vortex of vital energy. And those who drink from the pure water at the head of the Sacramento River at the base of Shasta get a feeling of overwhelming peace. It’s said that the mountain is calling home those who started their experience on Earth in her presence. Since the entire area was once part of Lemuria, where a highly advanced civilization lived, this shouldn’t be surprising. Many have “seen” a mystical brotherhood that moves through jeweled corridors deep inside the mountain; they may have come from the submerged continent of Lemuria. There are mysterious openings inside the mountain where these advanced peoples live. They are highly evolved and radiate in another dimension that is not visible to the physical eye, but you may see them with inner sight. Feel the tremendous energy emitted by the mountain itself, and ask to meet one of the higher beings who reside within Mt. Shasta, maybe even St. Germaine himself.